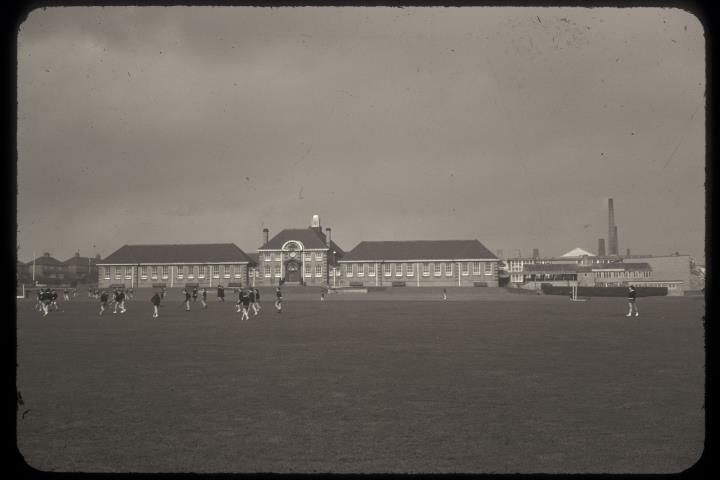 Description:The photograph shows the main buildings and playing fields of Brownhills High School. 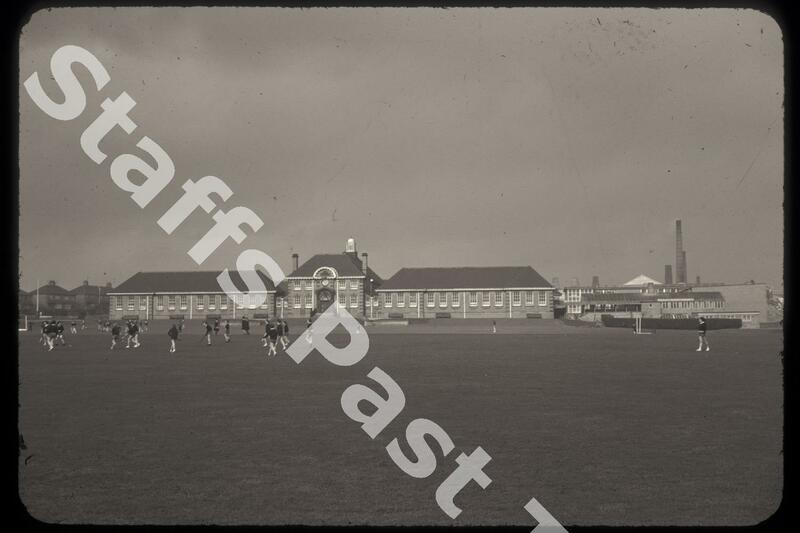 This site is now the Co-operative Academy of Stoke on Trent, with new school buildings. The School was originally a fee paying, girls only school opened in 1927 and built around the John Wood's Brownhills Hall. In the 1950s, the original buildings were demolished. Brownhills Road is at the extreme left hand edge. Behind the school are the chimneys and kilns in the Pinnox area of Tunstall.